As we move through the Shift, changes are happening within our bodies. We are altering how we see the world around us, and increasing our body’s ability to hold Light. As we alter the electromagnetic frequencies in our physical and emotional bodies, many of us are beginning to think differently about ourselves. Depending on how we hold resistance in our body, and where we argue for our limitations, we will experience physical and emotional symptoms from time to time. As you know, our minds can be very noisy sometimes. As this Shift continues to unfold and trigger more of the who-we-are-not to surface and move out, understanding the steps or levels our thoughts move through may prove helpful in managing them. We are moving toward becoming more masterful of every thought, every emotion, and every action in every moment. Thoughts occur at many levels of loudness from the complete silence of knowingness to the screaming and arguing inner voice. 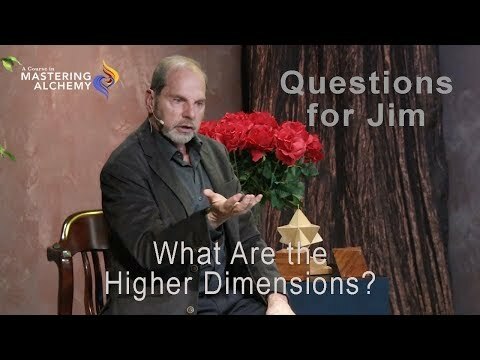 Jim Self > 2012 - What Do You Mean the 3rd Dimension Is Going Away? As 2012 approaches there is an increasing urgency to this message because we’re all, literally, running out of time to play in the third dimension. In simple terms, the habit of thinking and feeling and behaving that we know of as the third dimension is going away. 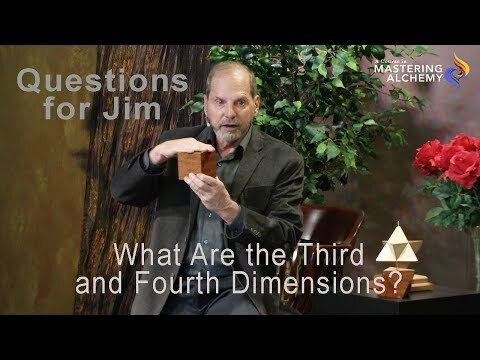 Everyone is shifting into a fourth dimensional consciousness and experience, and then into a fifth dimensional consciousness and experience. This wonderful planet of yours was created in great love by many, using this Christed Matrix. The Earth is a Christed planet. Because you are part of that Earth, embodied in a physical body, you are a Christed being. You may have however forgotten this. The aspects of Divine Feminine and Divine Masculine are misunderstood and out of balance on the planet. Separation, third-dimensional beliefs and conditional programming have split humans according to gender and the divine aspect of each of us has been lost.